Thu., Jan. 11, 2018, 8:30 a.m.
A GRIP ON SPORTS • All weekends in the Pac-12 basketball race matter. Some just matter more than others. Such is the case with Washington State this weekend. Read on. • It’s snowing throughout the Inland Northwest this morning. That’s a good thing for the Cougars. The visitors to Beasley tonight, the Stanford Cardinals, may be a bit distracted after making snowmen and such all day. OK, that doesn’t happen. I don’t think. But any distraction would be helpful for the Cougars. And they need to mine every bit of help they can. This is a make-or-break weekend for Washington State’s basketball program, circa 2017-2018. In a season that began so promising, with six consecutive victories, the Cougars have slipped on hard times. With an 0-3 conference start and eight losses in the last nine games, if WSU doesn’t win at least once this weekend, then they will have fallen to a point in which getting back up may be impossible. Stanford and California, which plays in Pullman on Saturday, are, along with the Cougars, the three least-respected teams in the conference. Take a look at this power ranking, typical of the thoughts about the conference race after two weeks. There is Stanford at No. 9, California at 11 and WSU at 12. Being that No. 10 USC won last night against Colorado, and only lost last week at Stanford on a halfcourt Hail Mary, a case can be made the trio should be 10, 11 and 12. Which means this might be the Cougars last good chance for wins. Oh sure, in basketball upsets happen all the time. Washington State could get hot one night and beat someone they shouldn’t. But if you want evenly matched opponents playing an evenly matched game, this is about it for WSU. Mainly because of the quality of teams but also the fact the Cougars don’t have to travel. It's the "not traveling" part that's important. The road can be a slippery place. Playing at home? That’s not been a huge advantage for Washington State, mainly because nobody is coming to watch. The Cougars biggest crowd at Beasley? That would be the 3,477 they drew for the rivalry game last Sunday against the Huskies. Yes, 3,477. Against Washington. In total, WSU has attracted 17,971 folks to Pullman games this season. Or less than the total North Carolina attracts each night. The Cougars are drawing an average of 2,567 per game at Beasley. That’s a far cry from a decade ago. 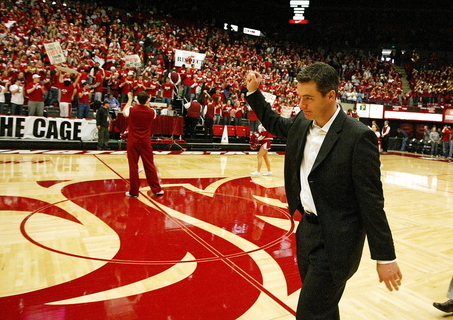 In 2008, WSU averaged 8,231 per game. Of course the Cougars were winning then. Winning often. That’s not happening now. This is the last good weekend to turn that around. It’s important. A lot more important than usual. And it begins tonight at 6 against the Cardinal. WSU: Stanford has things going the right direction, what with a 2-1 conference mark. Theo Lawson examines the momentum swing that climaxed last weekend against USC. … Football all-star games have multiplied in recent years, as has the Cougars participation. Theo has a story on the seven Washington State players who are still playing. … Stefanie Loh covers the same ground in the Times. Elsewhere in the Pac-12, we start with basketball and we will start in Seattle, where the Huskies have exceeded expectations. … California has been baffling. … Stanford is on the rebound. … Defense, and a couple of stars, has keyed Oregon State’s early conference success. … Oregon needs a spark. The desert might be the place to find it. … Arizona State is usually sparked by its coach. … So is Arizona. … There was a grudge match of sorts in Los Angeles last night, with USC pulling away from Colorado. … Utah has to try to get something going on the road. … In the football world, Arizona is still looking for the right head coach. … Washington isn’t sure what its offense will look like. … USC finally received some good news. Gonzaga: This is it as far as the first swing through the bottom of the West Coast Conference is concerned. 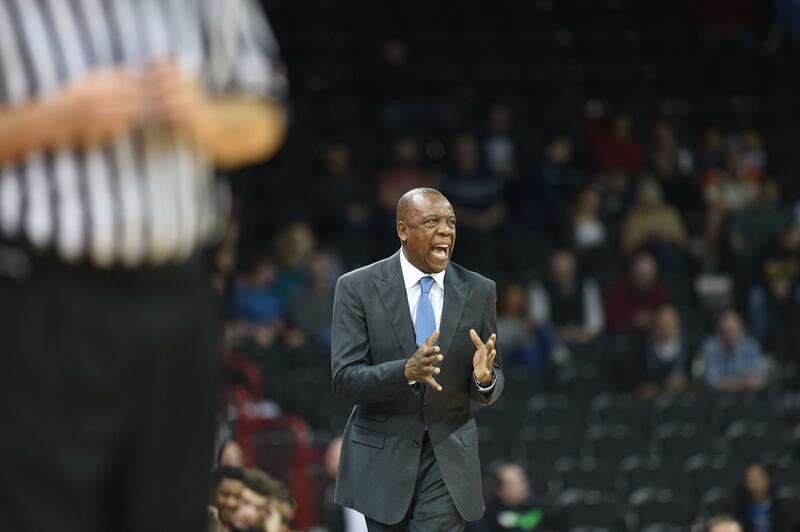 The Zags host Portland tonight and Jim Meehan has a preview of the 6 p.m. contest. He also has a look at the two biggest Pilot threats. …The Gonzaga women take the WCC’s best record on the road to Portland, where they face the winless-in-conference Pilots. Jim Allen has a preview. … A former Gonzaga star baseball player, Marco Gonzales, returned to Spokane as part of the Mariners’ caravan. Whitney Ogden caught up with the pitcher for this story. … Around the WCC, Pacific picked up a big home win last week. It will try to keep the momentum going against visiting USD tonight. … BYU needs to bounce back after its loss in Stockton. EWU: The Eagles have a pair of players who have quietly climbed up the school’s career scoring ladder. Jim Allen sat down with both and has this feature story. 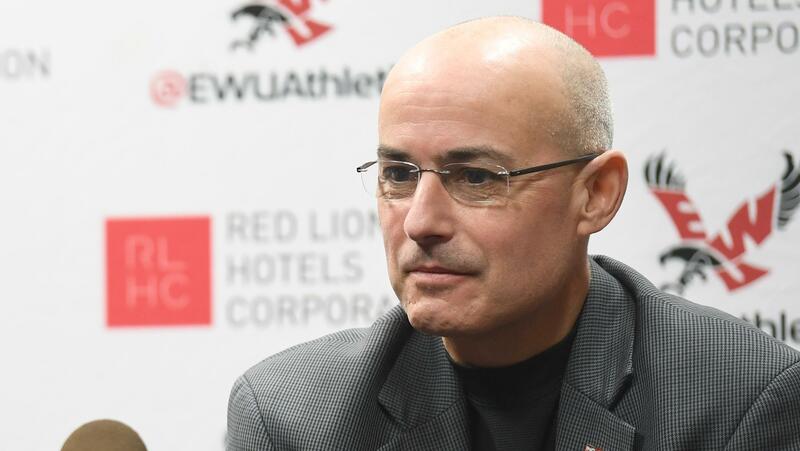 … Athletic director Bill Chaves interviewed in Grand Forks yesterday and said all the right things about North Dakota. If he doesn’t get the job, how will that go over in Cheney? … Elsewhere in the Big Sky, the conference hasn’t done well in the football playoffs recently. Answering why is tough. … On the courts, Montana has struggled in Sacramento. … Idaho State heads out to play Northern Colorado and North Dakota. … Portland State hosts Montana State tonight. CCS: The Sasquatch rolled over Big Bend. Chiefs: Spokane’s road trip continued with a 7-4 loss at Kelowna. Preps: Wednesday nights are filled with all sports, including basketball. So we have roundups. There is Dave Nichols' story on wrestling. A gymnastics roundup. There are girls and boys basketball ones. And Dave’s story on Mike Thacker’s 500th win. … Dave also has a story on the new home for District 8 4A/3A basketball. … Steve Christilaw has a column on Adam Fisher, who recently stepped down as East Valley's football coach. Seahawks: The Hawks really cleaned house offensively yesterday with Darrell Bevell and Tom Cable fired. Now will there be personnel changes? Will there be more coaching change to come? And who will replace the departed coaches? Mariners: The minor league coaching staffs have been determined. Published: Jan. 11, 2018, 8:30 a.m.